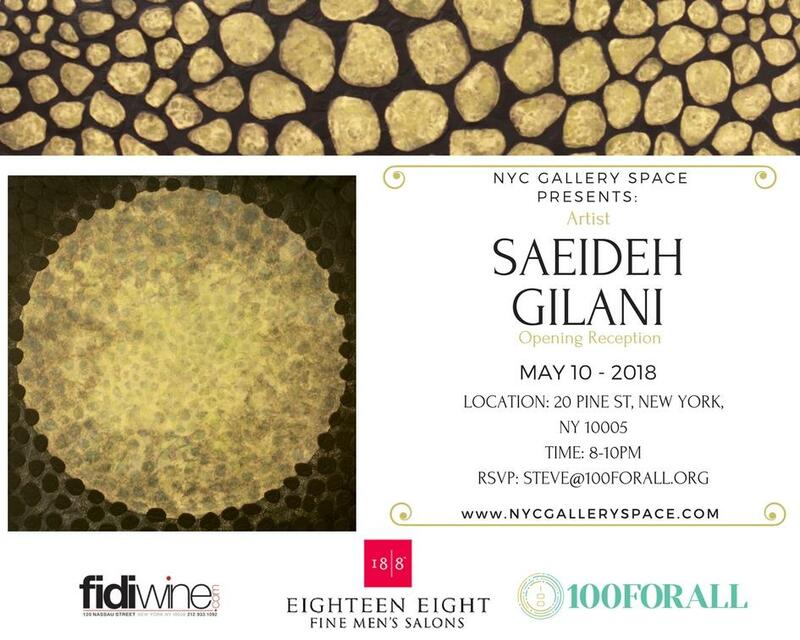 Join us for an evening of art, drinks & good company to welcome artist Saeideh Gilani’s first New York City exhibition. Crawling out, moving beyond the borders, outflow of the shapes all to gain a form which is not ultimate. My works are the annunciation of formation of endless new shapes which will be woven through black texture with a stunning shining. I am fascinated by the concept of the forming the world. I am therefore devoting myself to build an absurd universe fuelled by repeating the internal organic matter patterns. Today I focus on visual translation of the effects of organic shapes in forming the world on my imagination. They are generally shapes that are unpredictable and flowing. On my path, I was attracted to the limitless world of mind and imagination and its use in creating images. I realized that the closest subjects to mind are organic and philosophy. So attempted to have a deeper understanding of fluidity of bio life through study of theories of cosmological. So my paintings are not about figuring out the right way to make certain things, or non-things, appear; it’s an attempt to craft a nature of appearances, where nothing exceeds, nor falls short of, the real world of the Great Outdoors. I accompany and direct the procedure in such a way that the end result can deliver my aesthetic sensations and perceptions.